What you’re going to do when your boss asked you a question about currency and you should answer it quickly? The first thing that might snap your head is finding the current exchange rate of the currency and then grabbing a calculator. Well, it is actually a wrong answer. So, what is the right answer? - The exchange rates are always updated. - All currencies are available. - Conversion rate (buy/sell) available in complete decimal. - By clicking ‘Exchange Rates’ you will be provided with the specific exchange rate of each currency. - Exchange rate history for converting is also available. - Type the amount you want (e.g. USD 250) in ‘enter amount’ column. Once you have pressed ENTER in your keyboard you will be provided with the result of USD 250 converted into IDR which is 2,378,655.77 IDR. So, whenever your boss asks you about the current currency, you know where you should go and what you should do for a quick answer. Suddenly just suddenly I want to share one of the song I've written when I was single. Well, I'm still single now but not available any more. China could be said as one of the busiest city in the world. Well, just imagine you are in a house full of people and then use your imagination to replace the house with China but with a thousand times crowded. That is why people prefer to go to Exotic Island in Korea or somewhere in South East Asia like Indonesia and Thailand instead of China. However, it doesn’t mean that China is not worth visiting. For you who don’t have time to swim in Exotic Island, Holiday Inn Shanghai Pudong Kangqiao offers you something far beyond exotic. 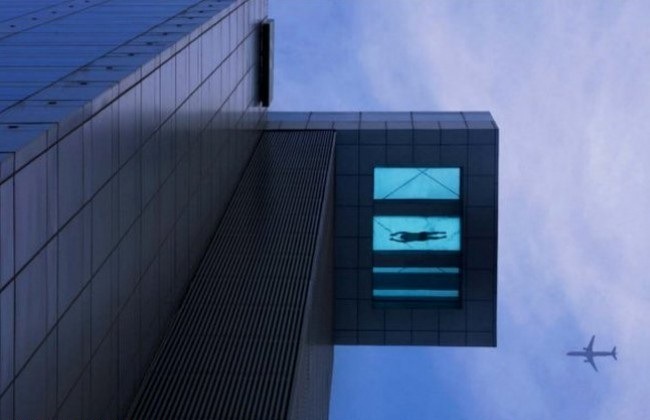 You are swimming and flying at the same time above Pudong city. 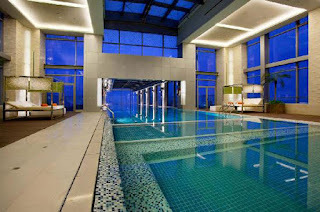 The purpose of designing the swimming pool in the above Pudong city is quite simple, the spokesman from InterContinental Hotel Group said “we want them to always feel like in a holiday even in the middle of busy city”. 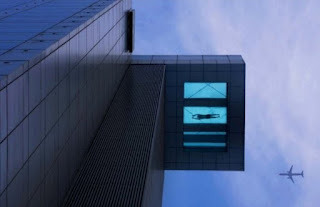 It is quite experience for those who have swam in that swimming pool which for some people might be really scary, especially for those who have hyperphobia. If you have no problem with hyperphobia, take flight to China right away and enjoy your flying while swimming above Pudong city. What you want in life is not something you could mention one by one. Human has natural habit to always want everything. Sometime what people want is so simple but sometime is also beyond imagination. Well, the picture below is just for fun, there are some desires contained in the picture and the first three words you find are what you want in life. Once again, it is just for fun so just try it at home and have fun. 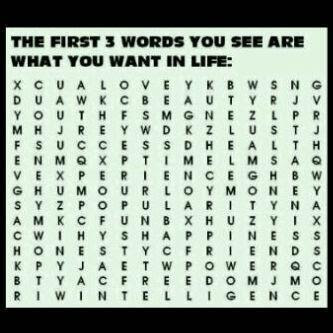 My first three words are Happiness, Friends and Freedom. How about you? For some people car is their pride, for others car is their basic needs, how about you? No matter what car is for you there is one important thing you should consider once you have bought a car; it is insurance. Driving a car without insurance is almost the same like driving a car without a seat belt. That is why applying to car insurance is prominent matter. The problem is there a lot of auto insurance companies you could find out there. You cannot depend on the first broker you meet. You need to know about what this insurance is about and what kind of advantages you could get from applying. Well, what you need here is Car Insurance Rates where you could learn about types of insurance and packages. With this site you are also able to learn about how to manage your budget for the best insurance package and compare the rates. In the same site you could save a lot of time for insurance broker research because they have partnered with the best insurance brokers only for years. There is a list you could take a look for recommendation or you could use the insurance quote system available in the website for free to find insurance broker that meets your need and budget. Do you know what is going to happen to you in a minute from now? Surely you don’t know. So, how could you assure that your life is just going to be fine in the future if you don’t even know what will happen to you in the next minute? Some people take their life too easy but you know it really well that life is never easy. Furthermore, you have a lot of people you love that you should protect as well. Speaking of how to assure your life in the future there is only one solution available; it is life insurance. Insurance system provides you all the things you need to secure your life in the future as well as the lives of everyone you love. The problem is there are a lot of types of insurance and you should make sure that you choose the one that suitable most to your need. In Life Insurance Rates you could get anything you want from selector tool that will help you choosing the best insurance you need up to life insurance quotes system that is offered for free. Anything you need to know about insurance is also available in this site. Just a simply clicking to the official website you will change yourself into a smart buyer who knows exactly what kind of insurance you need to protect your life and all people you love. The best thing from being the part of 21st century is you could do anything you want and need rightly from your home conveniently through online system. In other words, you could do anything you want and need fast in efficient and effective way. Where you will go whenever you need fast cash? The answer is easy; that internet provides you the solution right away. The question is where you should go for fast cash? The answer is a lot. 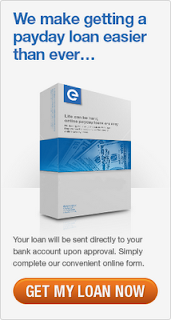 However, there is only one place you could go for fast payday loans with minimum requirements, easy procedures and instant process; it is Easy Online Payday Loan. The best thing about this site is you are not only able to get the cash in the same day you propose the loan but you could choose whether the money is deposited or written in a check; everything is depending on your personal needs. Have you reached 18 years old? Do you have monthly income? Do you have bank account? If you answer yes for those questions and then you are eligible to propose the loan today and get the cash right away. Millions of people have proven how trustworthy and fast this website is in providing fast cash and it is the time for you to prove it yourself and share the good news to your friends. So please don’t hesitate to visit the site and make sure you have read all terms and conditions required. ekarifin has read 0 books toward her goal of 100 books. Eka has read 0 books toward her goal of 100 books. Yup, that's it. I needed it because of how the book ended. I've been busy recently with all the never-ending budget and cash flow meetings, so I didn't read any book in almost 2 weeks but when I got this book, which I've been desperately waiting for, surely I put aside everything even the matters one. Lockwood & Co. again everyone... and this one is the best book of the series so far. I mean the story is advancing, the characters are growing, and Mr. Stroud is awesome. With all of the previous success jobs, following the popularity that brings them a lot of new clients which means more jobs or probably too much jobs to handle, less time to rest and even no more time to fold the laundries. That's why Lockwood decided to hire an assistant, not an agent, but an assistant to do all the administrative and domestic jobs in Portland Row but sensitive enough so whenever they need additional agent, the assistant could join them in the field. Well, because of this new assistant, Holly, the new conflict that we never have before in the previous two books started, I think Lucy is jealous or she started to have a crush on Lockwood, even the skull in the jar notices it. However, this book is too good and too awesome to be disturbed by cheesy romance but still, since I'm pro Lucy, I'm also irritated by Holly's present. Somehow, she's too perfect, just too good to be true, which is suspicious to me. Though in the end, her present started to make senses. The main case of this book is mysterious Chelsea outbreak, the biggest outbreak that so far ever happened in London, for almost two months agencies and DEPRAC are working on it with no outcomes at all. Lockwood didn't like it, not because of the outbreak but because there is no invitation for his agency to join the force. So, Holly picked them a job in Hanover Square to deal with bloody footprints that appear in the enormous stairs in Miss Fiona Wintergarden's house. You know what, that's why I said Mr. Stroud is awesome, I mean, he successfully made me decided to close the book and sleep because that night was raining, I slept alone, so somehow I felt the chill and reading about Lockwood, Lucy and George waiting for the phenomenon to happen in that stairs sounds like a very bad idea at that time. Just as always, they could finish the job, though in the end Lockwood is injured to save Lucy who somehow decided to test her talent with the wrong ghost (though according to Lockwood, there is no right ghost either). Anyway, because of that, Miss Wintergarden praised them and recommended them to be part of the Chelsea outbreak forces. That's how the amazing things happen, as always, George is the genius one (he reminds me of Hermione's male version), Lockwood is Lockwood, mysterious and calm, Lucy, still cool and awesome, and now there is also Holly, perfect and efficient. Together they are awesome team, but being awesome is not enough, what they need is more agents to help them. Here, the Kipps and his team entered the picture. Can you imagine, Draco Malfoy and Harry Potter are working together? It's not going to happen, but Kipps, no matter how obnoxious he is, knows that he has responsibility to end the outbreak because he already lost one of his agent because of that. So, like it or not, they should work together because DEPRAC didn't give any chance nor the additional agents to assist Lockwood, so he decided to work on it with his team alone assisted by Kipps' team. Surprisingly, it has been two months for DEPRAC and all the agencies to find the source in the center of the Chelsea outbreak, but the genius George found something else entirely, he pointed out Aickmere Brothers department store, which history stated has an underground prison that could be the source of the outbreak. Here, Lucy's talent is tested again. Lockwood is right, she is powerful and getting stronger. And it almost cost her own life this time which led her to make a very hard decision about her future in Lockwood & Co.
Feuh... such a long review to write in the morning. I suggest you to read it yourself so you could experience all the awesomeness of this book yourself. What A Nerd Wants. Powered by Blogger - BlackSplat design by SamK.